Kenneth Wayne Singleton was born June 10, 1947 in Manhattan, New York City. He was raised in Mt. Vernon, New York, in the same house where Brooklyn Dodger Ralph Branca once lived. 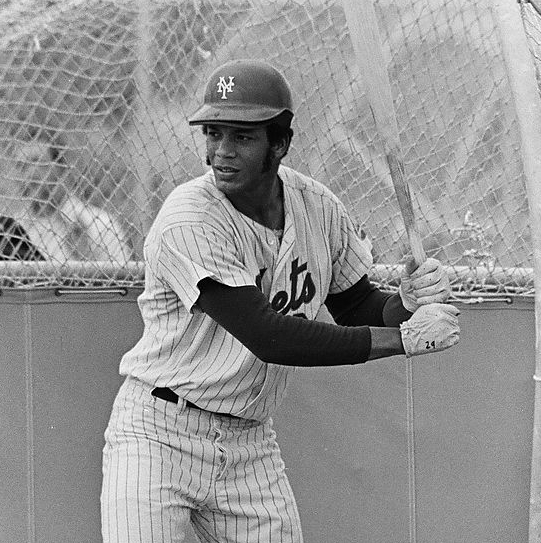 Singleton attended school on Long Island at Hofstra University getting drafted by the home town New York Mets in the first round of the 1967 draft. He was a highly touted prospect, after batting .316 with the A ball Visalia Mets in 1968 he was promoted finishing the year at AAA. 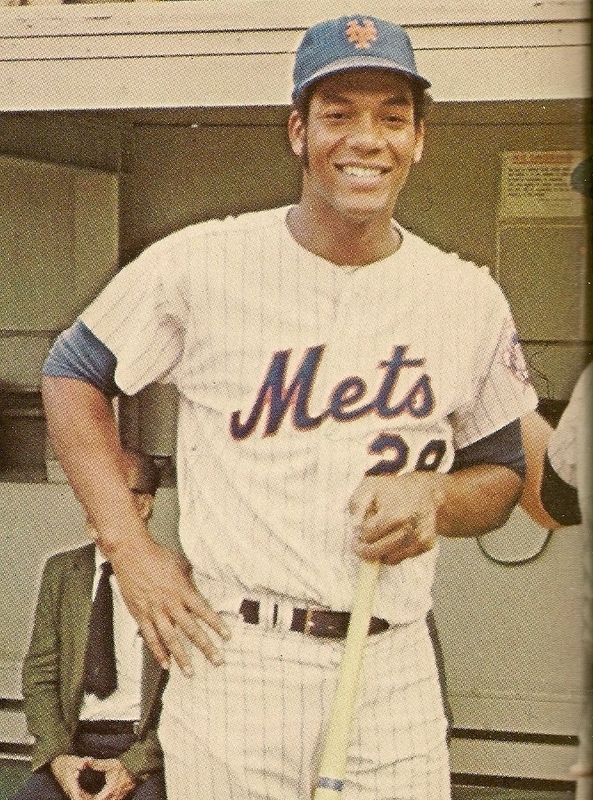 As the Mets were winning the 1969 World Series, Singletin was batting .309 at AA Memphis. At AAA Tidewater in 1970 he batted .388 with 17 HRs & 46 RBIs. That summer he made his MLB debut, starting in left field on June 24th in a game against the Chicago Cubs. Two games later he hit his first career HR in Montreal’s Jary Park a place he would soon become very familiar with. 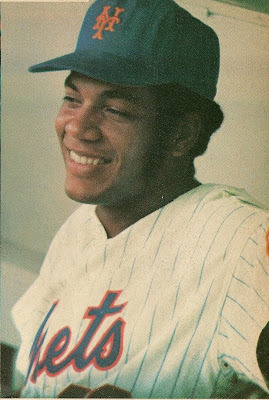 Singleton went on a six game hitting streak and became known as the Mets outfielder of the future. 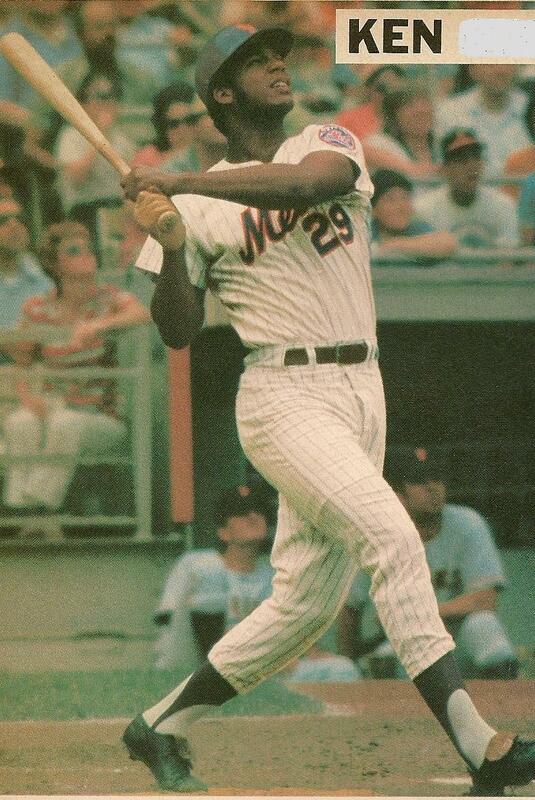 He played in 69 games for the 1970 Mets hitting .263 with 5 HRs with 8 doubles 26 RBIs & a .361 on base %. In 1971 he became the Mets main right fielder playing along side Tommie Agee & Cleon Jones. 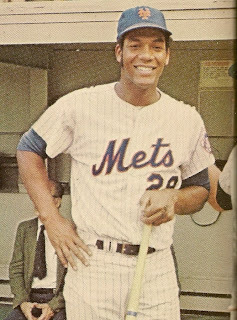 On April 23rd he hit his first HR & later helped the Mets to a win at Wrigley Field with a two run single in the top of the 11th inning. After that he had a dismal May, & found himself batting at .175 in early June. From there he began to hit better, raising his average up sixty points by the end of the month, hitting four HRs from mid June to the July 1st. On June 20th he broke another extra inning tie when he singled home Don Clendenon in the bottom of the 11th in a game against the Phillies. During the season he had seven different occasions where had multiple three hit games. Throughout the year he drew a lot of walks which kept him on base quite often. He had a strong September hitting six HRs while driving in 18 runs. He drove in seven runs over a five game span in early September gathering eight hits in that stretch. In the last game of the 1971 season he went out with a bang going 3-4 against the St. Louis Cardinals, hitting two HRs, driving in four runs in the Mets 6-1 victory. The win helped Tom Seaver earn his 20th win of the season. It would be Singletons last game as a Met. 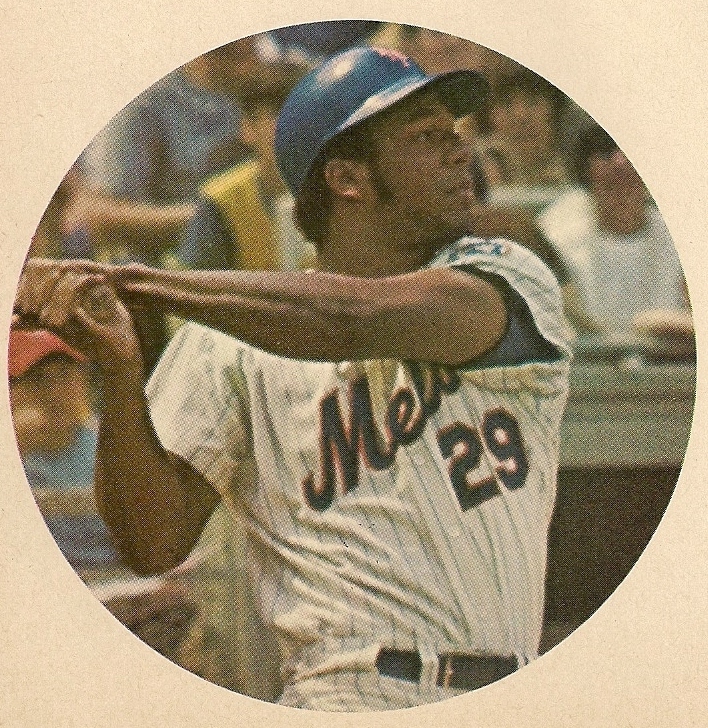 He played in 115 games for the ’71 third place Mets, earning a reputation as a power hitter. In 298 at bats he hit 13 HRs with 5 doubles, drawing 64 walks while driving in 46 runs. He led the team in base percentage (.374) walks (61) & intentional walks (9). 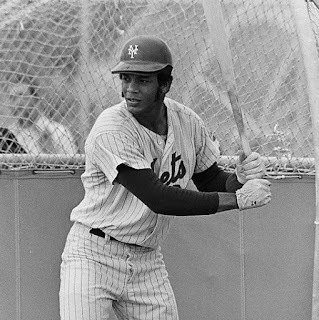 Although he showed great promise for the future, the Mets had a chance to acquire Rusty Staub from Montreal, and Singleton was the main chip in getting him. Just after the sudden death of Gil Hodges & right a the 1972 season was to begin, he went to Montreal along with Tim Foli & Mike Jorgenson for Rusty Staub. Singleton became the Expos everyday outfielder batting .274 with 14 HRs & 50 RBIs. By 1973 he was one of the leagues top players, batting .302 (8th in the NL) leading the NL in on base percentage (.426) & in games played (162). He hit 23 HRs with 103 RBIs (5th in the NL), scored 100 runs, drew 123 walks (2nd in the NL) and placed 9th in the leagues MVP voting. His numbers fell off to 9 HRs the next year batting .276, while still posting a .385 on base %. Then, In a wacky trade in December 1974 the Expos traded him, along with Mike Torrez to the Baltimore Orioles for Rich Coggins, Dave McNally & Bill Kirkpatrick. Singleton arrived in Baltimore just after the Orioles dominating championship years, but he would remain there for the next decade. He became one of their best players. 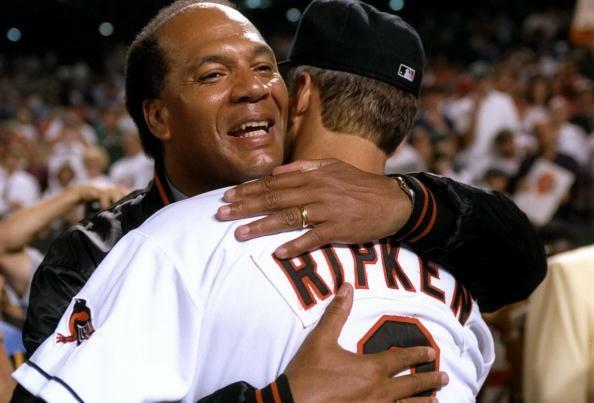 until the Cal Ripken era began & with the club won another Championship. He hit over .290 five times, and had four 20 plus HR seasons along with three 99 plus RBI years. 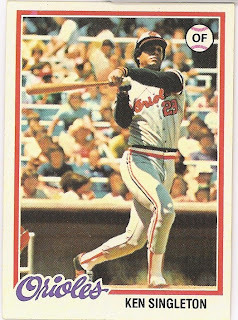 In 1979 he had a monster year, leading the Orioles to the A.L. Pennant & falling one game short to the Pittsburgh Pirates in the World Series. He led the AL in intentional walks & was second in the MVP voting. He hit 35 HRs, 29 doubles, 111 RBIs & batted .295. Post Season: He had a great ALCS hitting .375 in the Series. In the clinching Game #4, he went 3-4 with a sac fly RBI & an RBI double. 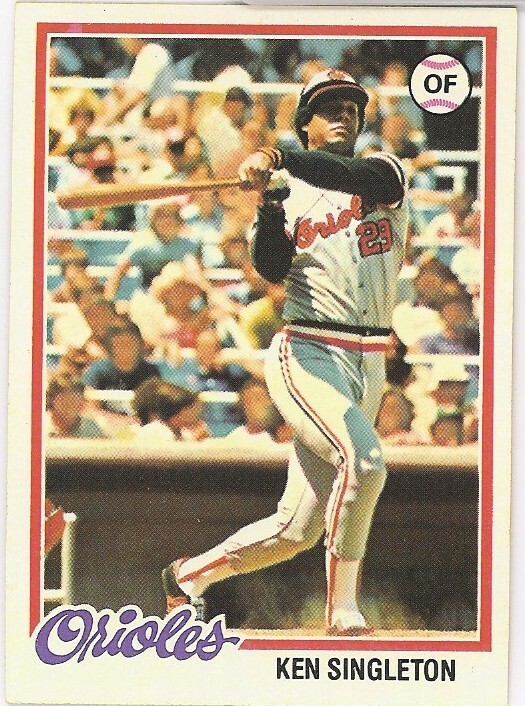 He had a good World Series as well, leading all Orioles hitters with ten hits, batting .357 with two RBIs. 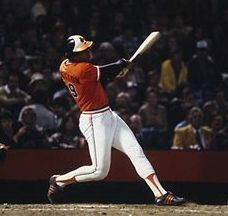 In 1981 he set a record by gathering ten hits in ten straight at bats, he went 4-4 in two games on August 26th & 27th, then returned to get two more hits in his first two at bats the next day. In the 1983 Orioles Championship season he was the teams DH playing in 150 games in that role. He hit .276 with 18 HRs with 21 doubles 99 walks & 84 RBIs. He led the AL in intentional passes once again as well. Post Season: He hit .250 in the ALCS & only got one at bat in the World Series because the designated hitter rule was not yet enforced in World Series play. He retired after the 1984 season with a life time.282 average 246 HRs 317 doubles 25 triples 1263 walks 1065 RBIs & a .388 on base % playing in 2082 games. He played in three All Star Games and although he never led the league in walks he was second in that category six times. Retirement: After his playing days, he began a career as a long time broadcaster. He began with the Toronto Blue Jays (1985-1986) then as both TV & radio guy with the Montreal Expos (1987-1996). He then moved to the YES Network since it's inception 1997. He announced he will retire after the 2018 season. Family: He is cousin of former NBA player & current L.A. Clippers coach Glen "Doc" Rivers.